Some baseball seasons seem to have their own personality. It could be the antics happening on the field or the drama that unfolds behind the scenes that keep certain seasons alive in the minds of fans for decades. The 70’s was a decade that was never short on excitement. Pick any year in that decade and something monumental was happening that helped shape the future of the game. 1973 was no different. The most historical feat was the introduction of the Designated Hitter. So monumental was it, that 45 years later we are still fighting over whether it is a good thing or not. Today’s book takes a look at year that gave use everything from the DH to a long goodbye to Willie Mays. In the past couple years a few authors have taken on the task of picking a season from the 70’s and dissecting it. Silverman has no shortage of material to work with in 1973, that is for sure. From the introduction to the DH, the closing of original Yankee Stadium, the Miracle Mets and the wife swapping of Fritz Peterson are just a few of the points that made 1973 a spectacular season. The author has done a nice job at looking at some of the important subjects of 1973, as mentioned above the implementation of the Designated Hitter, the painful farewell of Willie Mays and the Miracle Mets, the closing of original Yankee Stadium for remodeling, the Oakland A’s and their repeat winning of the division and of course last but not least new Yankees owner George Steinbrenner and his wife swapping pitchers. Silverman covered them all with accuracy and great detail, he has presented a story that was interesting and engaging and a good read for the average fan on these subjects. The problem I has with this book is that there was more going on in 1973 than just these few subjects mentioned above. Hank Aaron was hot on the trail of Babe Ruth at that point. You were right in the middle of Pete Rose and the Big Red Machine. Roberto Clemente was killed right before the season started in a plane crash. So there was no shortage of big stories that were a factor in 1973. The author has mentioned some of these events in passing throughout the book, but nothing of any substantial merit, so I think he missed the boat there. I understand the reasoning of why you would not want to spend any great amount of time talking about teams such as the Philadelphia Phillies and Cleveland Indians, who were perennial bottom feeders in that era, but I think you would still want to address the full state of baseball if you were writing about one single season. 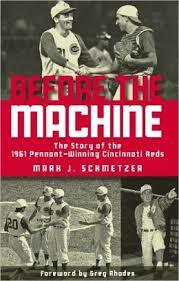 There were so many different things going on that it would have enable the reader to get a much broader picture of what was truly happening in the game of baseball during 1973. By far this is not a bad book. It covers the subjects it chooses to, very well. Silverman is thorough and puts a fun spin on the events of 73. He has created a good product that is definitely worth reading, just readers should be aware that it covers a few subjects very heavily, while passing over some of the events of that year of particular importance. Perhaps I am just spoiled by books like Dan Epstein’s Stars and Strikes that covered the 1976 season, and now I hold all season books to that standard. I don’t think any fan with an interest in 1973 will be disappointed, I just think the author missed his chance to paint a much broader picture of the magic that was 1973. Ken Griffey had a distinguished career in Major League Baseball. Playing for the Yankees, Braves, Mariners and most importantly as a member of The Big Red Machine. Griffey set off from his small town Pennsylvania upbringing and made a great career for himself. Along the way Griffey had brushes with history such as the Marshall University Thundering Herd. Through extenuating circumstances he missed the plane that killed 37 members of Marshall’s team when it crashed. 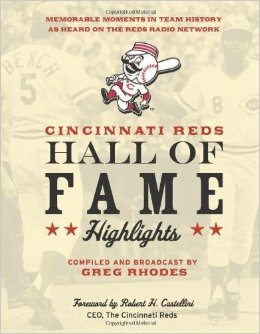 Griffey went on to be a key cog in the Big Red Machine of the Reds and has lots of stories to tell about that team. From the Hall of Fame caliber players and their manager to even having some thoughts on Pete Rose. After the Reds he moved to the Yankees and you get some quick stories about George Steinbrenner and Billy Martin. Quickly, you move to the Braves after escaping the Bronx Zoo, as well as a second stop with the Reds. Finally you move on to the Mariners and you get the insight of more history in the making and his proudest moments in the game. Ken Griffey and Ken Griffey Jr. became teammates on the Mariners and the pride that Ken Sr. was overwhelming. You get some warm and fuzzy feelings from the Father in describing the sons skills and accomplishments. 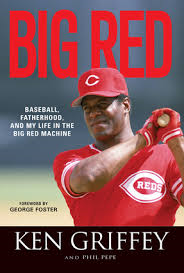 Ken Griffey Sr. was never someone I ever considered warm and fuzzy, but this book shines a new light on him as to how strong a bond he had with Ken Jr. The personal side of this book shows the bond, especially between father and son, is very strong. It puts a unique perspective on the book, in the fact that you are learning more about Ken Griffey the person. You are not getting the career description like so many of these autobiographies. It is more like a story of the people around him and how they have influenced his life and career. This is a nice, easy read that all fans should enjoy. I went into this book with Ken Sr. not being my most favored player of the era. Big Red has made me change that view somewhat. It has shown Ken Sr. the person, in a whole new positive light for me.